My oh my oh my oh my. Thank you all SO much for the bambino love! So today I thought I'd dedicate my Five On Friday to the little pumpkin and answer some questions I've been getting. We are due May 5, 2014 ... yes ma'am, Cinco de Mayo! This Spanish major was really overjoyed when I saw that date pop up. Who knows if baby will decide to come early, on time, or late, but there is a definite chance that I might be celebrating with a margarita rather than the bubbly. Additionally, my birthday is 1/1 so the idea of potentially having a 5/5 baby is cute ... both being holidays, too. Thank you to all who have asked how I am feeling! 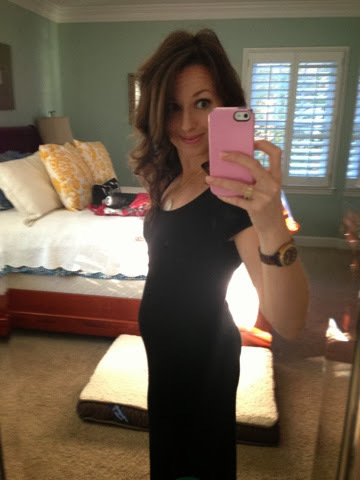 I have realized that when you are pregnant, the nicest thing anyone can do is just inquire about how you feel. Happy, happy, happy to report -- I have been feeling GREAT. No morning sickness, just a little bit tired sometimes (no major exhaustion though), no big-time food or smell aversions. How fortunate am I?! There's not a day that goes by that I don't thank this baby for being so gentle on his or her mama. I have been making sure to get rest, keep stress in check, and hydrate well. We will most definitely be finding out the gender, and we already have a date ... November 20th! Three short weeks away my friends, and we will know if Baby R is going to be in tutus or ties. I think we will find out a few days later with some friends and family nearby. Just for the record, Ian's hoping for pink but I'm getting major blue intuitions -- and I work with a girl who, after a quick ring over the hand trick, told me I would have a girl and then a boy but no third child, and assured me that she has never been wrong. Am I showing ... well, it depends on the day! I am still down three pounds from my starting weight (I am 13 weeks now, by the way) but I definitely have a pooch going, especially after meals. The below photo is from last Wednesday morning, and the one below is from this morning. So, thank you again from the bottom of my grateful heart for all of your love! I guess this means I can finally make one of my baby boards on Pinterest public, so be forewarned! I think a lot of you know how this works but if you are new to the party, please join this link-up along with me and my beautiful co-hostesses -- Darci, Natasha, and Christina. Playing along is simple! Just write a post about five things on your mind today, anything goes really, post the logo below on your blog, and then enter your post address below in the link-up section. It's a great way of meeting new friends and getting more eyes on your cute blog! You look so cute!! Can't believe you can find out in just 3 weeks- so exciting! I feel like 2013 was the year of the boy so I'm thinking 2014 is going to be the year of the girl. So glad you're feeling so good- that is awesome! Congratulations! Such a wonderful time in your life. Can't wait to see your baby updates! And yes, I will totally miss your awesome cocktail recipes. How cute are you?? I can't wait to find out what it will be! There's no way I could wait and be surprised. Too much shopping and planning to do! congrats, being a momma is the BEST! You look wonderful, can't wait to see your updates! so absolutely fabulous! You look GREAT!! I'm so happy to hear that you've been feeling great - and you look great too! What a fun time in your life - can't wait to read the updates from a few months back! Glad to see you are feeling well! Good luck with the pregnancy! What a blessing! I'm so excited for you! 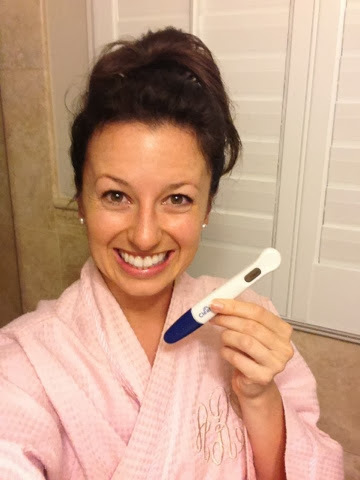 Pregnancy has its ups and downs, but really, it is so much fun anticipating your first baby!! And then the best part, getting to hold and mother that sweet little child! All the best!!! Tutus and ties would make a great theme if you all decided to have a gender reveal party. Glad the pregnancy is going well so far. My two were definitely not gentle on me in the morning sickness department, but having them here made it all worth it! So much fun!! Glad baby has been good to you thus far! I need to get you those clothes. I'm around this weekend. Can drop them by. How exciting! I'm so happy for you! :) Being a momma is just an unexplainable joy! Glad you've been feeling well, and I hope that continues throughout your pregnancy! First of all, how do you look so cute at 4:30 am?!? Haha, I'm so glad you've been feeling great! Can't wait to find out what you're having!! Big fat YAY! I'm so excited for you and to hear all about your pregnancy. I wish you a happy, healthy, and easy ride! What an exciting time! It definitely helps that you aren't sick. I was so sick with my first and a little with my second. Can't wait to find out the gender! Oh my goodness, how exciting! 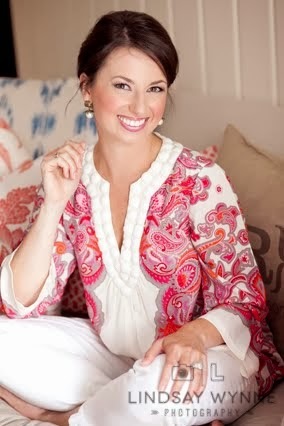 I'm behind on blog reading so I'm just seeing your week's posts today - SO happy for y'all! And I'm going to jump on the "I had a feeling" bandwagon, too, mostly because of the lack of cocktail recipes! 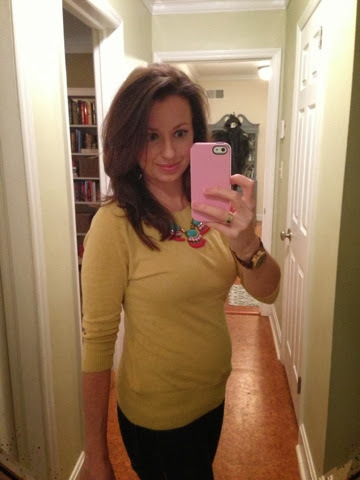 ;) I can't wait to follow along in your journey and hope you continue to have a smooth pregnancy! So happy you're feeling great! I felt great in the beginning, too... so maybe that means you're having a girl, too? haha WHO KNOWS! I can't wait till you announce! I am so happy for you! Congratulations! What a special, special time. Congrats! I think you're just a few weeks behind me. The blogger meet ups can change to park play dates with babies this spring. :) Glad you are feeling great!